The more private condo-style stay. If you like a resort that's a bit more secluded than the typical Newport area stay, with a very private individual condo building design, you'll appreciate Wyndham Newport Overlook, conveniently located near the Jamestown Newport resort area right on the water. At Wyndham Newport Overlook our spacious 2 bedroom vacation suites comfortably sleep 4 to 6 guests from 1500 to 1600 square feet. You will appreciate the privacy of separate bedrooms the economy of a private kitchen and the convenience of a washer and dryer in each suite. Plus full dining room New England town house decor and televisions throughout are luxuries you just won't find in an average hotel room. Enjoy this home away from home. The Westin Providence boasts an excellent location. Within walking distance of many gourmet restaurants and historic attractions, guests can experience all that the city has to offer. With a heated indoor pool, fully equipped Capital Club fitness center, and our delicious Agora Restaurant and Bar, we have everything you need to relax and renew right here at The Westin Providence. 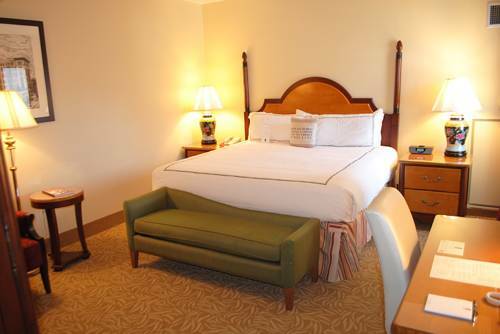 Relax in one of our Heavenly Beds , which come standard in each of our 564 guest rooms and suites. Guests enjoy our spacious accommodations with beautiful city views and oversized bathrooms. Try out our new WestinWORKOUT room and exercise in the privacy of your own room! Lovingly restored to preserve its turn-of-the-century New England flavor The Hotel Providence combines quiet elegance with the technology and services by todays discerning traveler. The Hotel Providence comprises of 80 spacious bedrooms including 16 suites deluxe accomodations. Rooms are richly appointed bedrooms features a deft mix of sumptuous elements like high end finishes rich fabrics and tiger maple accents. The hotels oversized guestrooms have oversized desks with ergonomic chairs pillow top beds complimentary high speed internet ipod docking station alarm clocks 27- inch televisions in-room coffee makers iron and ironing boards in-room safes and plush terry robes.